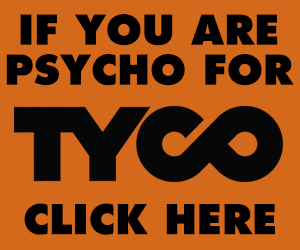 Why print ads? Because Model Railroad News is the only publication devoted to covering current and coming model railroad products! Taking an all-scales approach, our magazine is specifically targeted to active purchasers of model railroad related products and services, providing the best news source for collectors, hobbyists, and scale enthusiasts. This also includes hobby retailers that rely on Model Railroad News to guide purchasing decisions each month. Not only will your customers learn about what new products have been announced, but also in-depth facts and details about the models and prototype alike. Our unbiased product reviews include locomotives, rolling stock, vehicles, structures, accessories, and more. 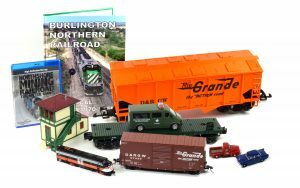 Model Railroad News also reviews railroad-related books and videos that provide essential information for better enjoyment and appreciation of model railroading. We wrap up each edition with a look back at an important historic release from the hobby’s past in our “From the Archive” series. Filled with excellent color images and the most in-depth reviews in the hobby, Model Railroad News is your customer’s monthly all-scales source to keep current in model railroading. for as little as $29 a year! Permanence: Unlike television and internet ads, which flash before the eye and then disappear, your ad stays on the page and is viewed every time our readers look at the page containing your message. Because Model Railroad News is continually referenced for project information and inspiration, your ad gets many more impressions than other periodicals. Credibility: Model Railroad News consistently delivers high-quality, reliable content that our readers trust. That credibility is then associated with our advertisers, resulting in a higher probability that products or services will be purchased as a result of that association. Performance: Magazine ads perform equally in message association to ads in other media, but provide the best results in the area of intent to purchase. For small businesses seeking to maximize the return on investment, print advertising still outperforms both television and Internet advertising. Engagement: Model Railroad News readers make a conscious decision to engage the words and images on our pages. Unlike passive media, our readers must physically turn our pages, look at all the material, and make choices about what to read. Are you giving them the chance to engage in your message? NOTE: Office hours are 9:00 a.m. to 5:00 p.m. Pacific Time. Model Railroad News, ©2015-2019 White River Productions. All rights reserved. Model Railroad News reports on the latest new scale model railroad products and provides in-depth reviews monthly.